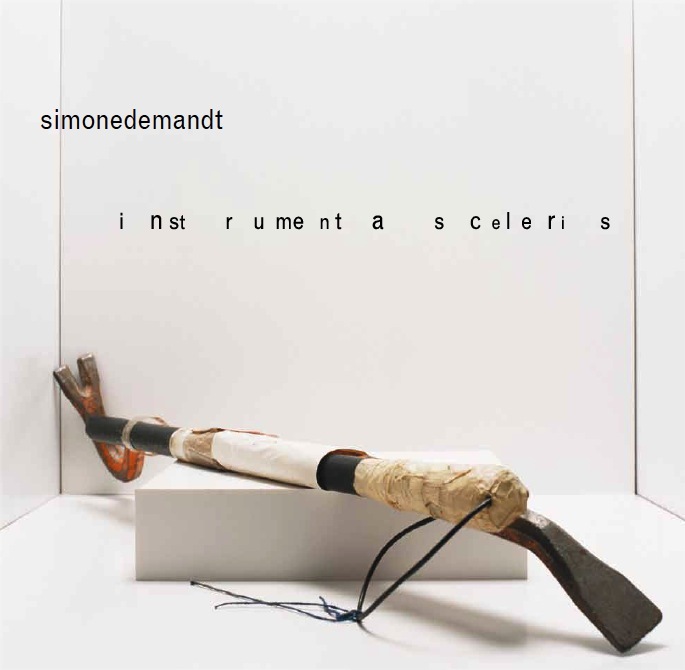 Simone Demandt has proved sufficiently that she is a master in her field. And yet everything is different about the photographs in this series, reproduced here in this slender volume for the first time. The »studio« had to be set up extremely quickly and often also more than provisionally. In addition, it was not possible to rig up any lighting, things had to be improvised. Ultimately, the scale and weight of objects that Simone Demandt wanted to photograph were of unpredictable size and inconsistent weight. And last but not least, it also took some persuasion on the part of the photographer to worm her way into the evidence room where she was able to photograph the silent witnesses, mostly the murder weapons. One condition was that none of the objects could be paired with a crime, i.e. a story or circumstances. What the photographer has captured in this adventurous research is nothing short of astounding. Many objects immediately reveal the possible background to the crime, other pieces of evidence are of such nugatory import that nothing much springs to mind. And so that much vaunted slice of reality (which photography is capable of capturing as an artistic medium), the image of a detached yet specific moment in time, is manifestly divided here; history and function slip away from our grasp most wondrously in the narrow scope of this cardboard studio.